Get Rewarded with FREE School Supplies! Whether you need individual professional development or training for your staff, this offer is for you! Purchase any of the CCEI Professional Development Subscriptions below and receive a Discount School Supply gift certificate equal to your purchase amount. 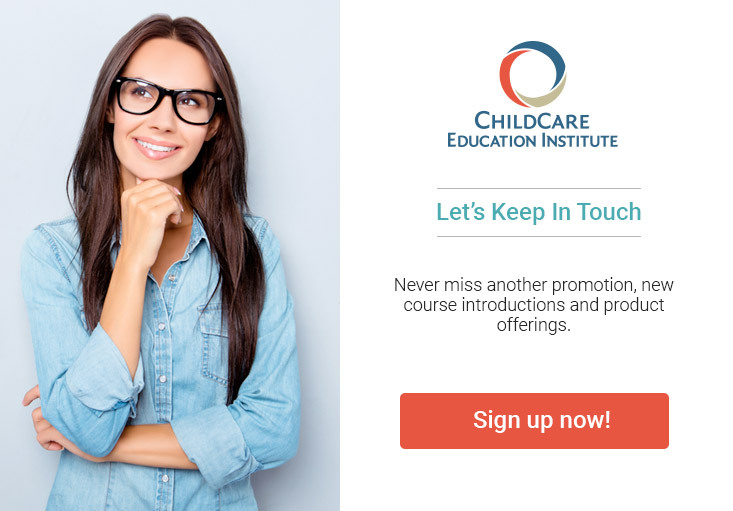 If you do not already have a ChildCare Education Institute user account, the first step will be to set up a new account. *All CCEI promotional offers listed above expire April 30, 2019. Product Code 1-SUB-PD applies to Promo Code DSS99. Product Code 20-SUB-PD applies to Promo Code DSS499. Product Code 50-SUB-PD applies to Promo Code DSS999. CCEI offers cannot be combined with any other offers or used for subscription renewals. Discount School Supply gift certificates will be issued via email within 14 business days of subscription assignment.